There’s something incredibly liberating about pulling a car apart that you know you won’t be putting back together. There’s no sorting bolts into categories or labelling them so you know where they go later. There’s no carefully unplugging wires for sensors and covering guards so the paint work isn’t marked while you toil away under the bonnet; welcome to the parts car. 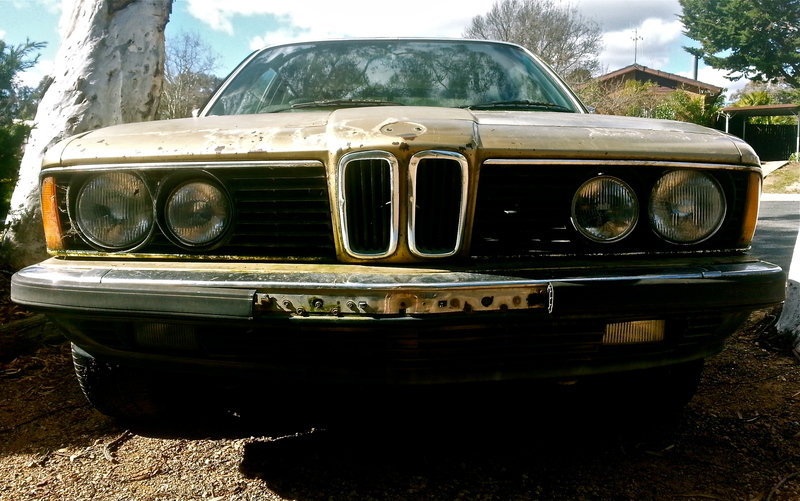 I’ve already filled you in on my package deal purchase of two 1981 BMW 733i’s. The blue car was a runner and has since left the stables for the same price that I bought both of these cars for. So essentially, anything I could get from the gold car was ‘free’. Now the gold 733i was in disgusting shape. It had been used as a kennel for the past few years and as well as dogs living in it, a family of mice had made themselves relatively comfortable in the engine bay. 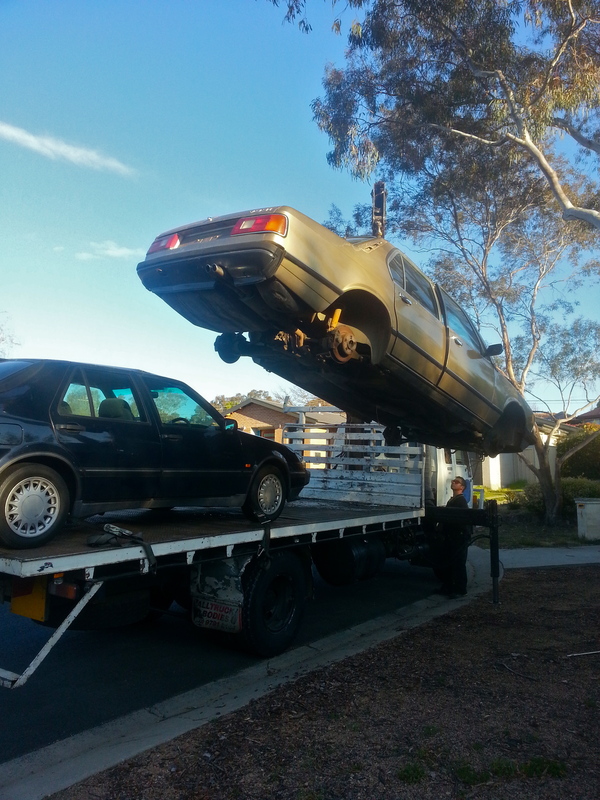 The seller assured me that the car had “run when parked a few years ago…” the seller was also wearing a stained white singlet and smoking a Winfield Blue, so you’ll have to excuse my scepticism. I pulled the head off the engine and on inspection it looked OK. There were no obvious cracks between cylinders and water galleries and it was the updated head design as well. It had been running water, instead of coolant from what looked to be the dirtiest water supply known to man though and a number of the water galleries were corroded. After much machine work and swapping the cam, valves and springs from the 633csi’s head over into the ‘good’ one due to bent valves and a broken cam (ran when parked?) it was right to go back on the car. That was a few weeks ago…I’ve been told the car is back together and running, but it’s not running as well as it should be. So essentially I’m worse of than when I started two months ago; the joys of classic cars. That’s not entirely true though, as I managed to take a good set of BMW/BBS wheels, steering wheel, MAF sensor, distributor cap and leads, new door seals, brake pads, ball joints, relays and a few other bits and pieces from the gold car before it was hoisted by a chain through the roof on top of a Saab 9000i. Note: BMWs and Saabs were hurt in the making of this image. Hopefully the next update will feature the 633sci…I’m beginning to forget what it looks like. I would like to blast it in a safe place.